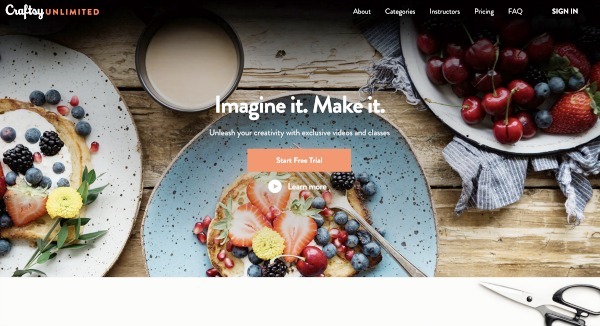 Craftsy Unlimited is a new program that Craftsy, the great on-line crafting site, has recently rolled out. Read more below to find out what it is and how to watch Craftsy classes for free! If you’re like me and you love being crafty and you love learning, you probably already love Craftsy. I’ve been a fan of Craftsy’s platform for a long time. Did you know that Craftsy recently came out with a new subscription model – Craftsy Unlimited? With Craftsy Unlimited, you will get every Craftsy class (plus the new and exclusive video tutorials) that you can watch whenever you want. You can take as many classes as you like, for one monthly fee. You’ll get access to thousands of hours of on-line video classes, on lots of topics. Including sewing, knitting, baking, quilting, photography and so many more! So, if you’re undecided about a course, you don’t have to worry about buying the class. 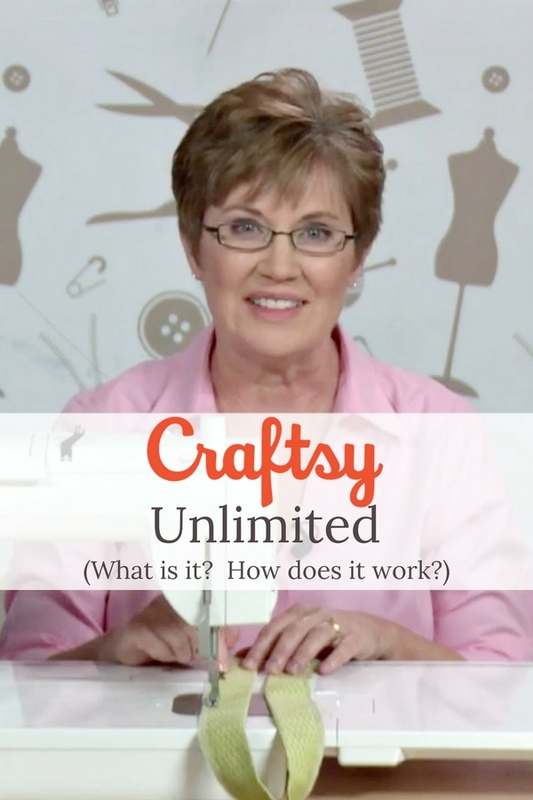 If you’re on the Craftsy Unlimited plan, you can watch it, see if it’s right for you. In the US, you can sign up for the Craftsy Unlimited plan for $14.99 a month, or if you’d like to save some money you can sign up for an annual subscription for $120.00/ year. These figures don’t include any applicable local taxes. That’s just @10.00 a month to watch as many classes as you like! If you’re outside of the US, there is international pricing in your own currency. What if I already own one or more Craftsy classes? 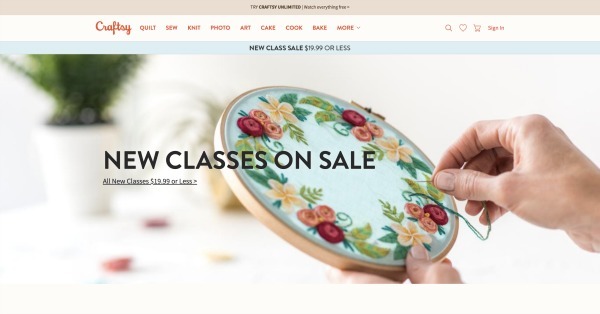 If you already own some of Craftsy’s great classes, don’t worry! Craftsy.com isn’t going away. You can still purchase individual classes, and all of your classes will still be available in your class library. Craftsy Unlimited includes all of Craftsy’s classes, as well as 100’s of new classes and exclusive content. Free 7 day trial offer! Here’s the best part, you can try out Craftsy Unlimited for FREE for 7 days. That way you can decide if it’s right for you. No strings attached, and you can cancel at anytime. If you cancel before your trial ends – Craftsy will let you finish up the trial for free! 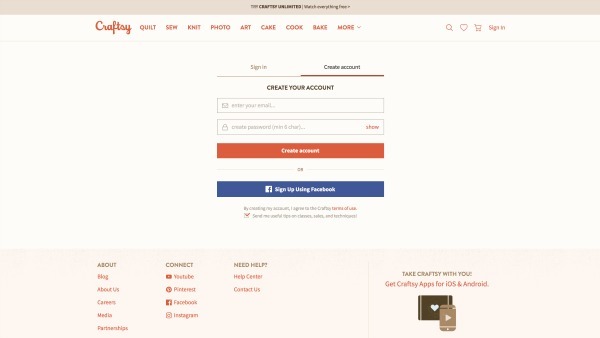 To sign up for Craftsy Unlimited, you’ll need to create an account with your email address and password at Craftsy.com. Once you’ve created an account, you’ll be on the Craftsy home page. At the top of the Craftsy home page, click on the banner that says “Try CRAFTSY UNLIMITED | Stream everything>”. This will take you to the Craftsy Unlimited page where you can click on the Start Free Trial button to start your FREE 7 day trial.